Winter in Lincoln, NE can be downright cold. We’ve been pretty lucky during the early part of winter this year, however recently temps have dropped making it frigid outdoors. Weather like this keeps us seeking refuge in our warm home, it’s also what causes rodents look for shelter from the elements in our homes as well. So why is a heating and air company care about rodents getting in your home? Let’s go through the reason. When seeking shelter rodents specifically mice can do quite a bit of damage, some of which can affect your heating, ventilation, and air conditioning or HVAC system. If mice find their way in your home there is no telling where they will make their home. Your HVAC system’s duct work can be a safe place for them to nest. Think about it, there is a steady dose of warm air and they are out of sight and likely out of mind until you see them searching for food or you begin the notice other signs of their existence. If a rodent does make its way into your duct work you may not know it until you begin to smell bad odors coming from your supply air vents. Let’s talk about some of the damage a mouse can do to your HVAC system. It is amazing just how small of a space a mouse needs to be able to gain access. Although they are small sometimes the damage can be big. Mice are notorious for chewing. They can find their way into the furnace cabinet and chew off the insulation of the wires connecting the various components on your furnace. When these wires are exposed component failures become possible. This can also be the case on components outside your home. Your air conditioning or ac unit can also become shelter for rodents. It is not uncommon for exposed wires to cause electrical issues on an air conditioner and unwelcome visitor are often the culprits. Once a mouse has found a place to call its home it will begin to build. Things like attic insulation and duct insulation become prime material for nests. So not only can a rodent affect the aroma in your home they can begin to affect the airflow of your HVAC system. Nearly no material is safe from rodent damage, but some are more susceptible than others. Some homes have duct work made from materials other than metal, such as fiberglass duct board or even coated cardboard. These materials could easily become nest material and leave leaks in your HVAC system. So what do you do if you think you have mice in your home and possibly in your HVAC system? Let’s start with your outdoor unit. To keep mice and other rodents from calling your air conditioner’s service panel home follow general care tips. Make sure to keep bushes and brush well pruned and away from the ac. In the fall don’t forget about cleaning the leaves from around the air conditioning unit. Keeping the area as enticing as possible is a good start. 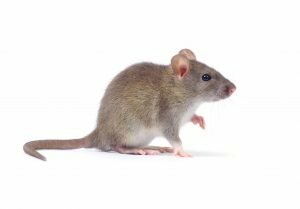 When it comes to rodents getting into your duct work, it’s important to not only get rid of your unwanted visitors, but also finding their source of entry into the home. It would be best to avoid poisons and trap mice so they don’t decay in your home/ duct work and cause further foul odors. Once you’ve accomplished this step it important to thoroughly assess the damage. Contact quality HVAC professional to check over your HVAC system to ensure wires have not been damaged and electrical components aren’t at danger of failure. If any furnace repair is needed it can be caught early and repaired easily. A quality duct cleaning professional can not only clean your duct work, but will be able to use a camera to see if there are any repairs necessary. Bryant Air Conditioning, Heating, Electrical & Plumbing doesn’t offer duct cleaning services, but we can certainly suggest a few companies we feel provide a quality service and use quality equipment to do the job right. If you suspect you have mice or other rodents are inhabiting your HVAC system in the Greater Lincoln, Nebraska are, call Bryant Lincoln to ensure your HVAC equipment has not been damaged.